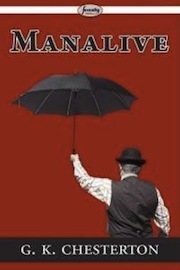 G.K. Chesterton's lesser known work, Manalive, tells the tale of a "holy fool," Innocent Smith, and his effects on the tenants of Beacon House, waking them up from a life not worth living. He shows them how to truly enjoy life, and that sometimes the best way to keep rules and traditions is by breaking them. He's a man who leaves his wife and home, only to find them again with new eyes. He's on a never-ending journey to never take his life for granted. I hadn't read this book since before I started college, but a group of us recently read and discussed it again and I high recommend it; it is a book that will have you re-examining your life—but not for too long otherwise you miss the point. It's only a hundred pages or so, so read it in a weekend and hopefully you'll be reminded on how to really enjoy life! 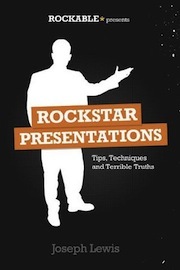 Another quick read, this book goes over the basics of delivering good presentations. Whether it's just in front of a meeting at work or in a classroom, with peers or in front of a large audience, at one point or another we all have to present our ideas and plans to others. Joseph Lewis goes through the basics of what makes a good presentation, and what to avoid, to make sure your ideas stick with those you present them to. While most of it is just common sense, there are some good reminders in here as well as practical tips for a multitude of situations. If you find yourself presenting anywhere but need some help, this book might be a good place to start. 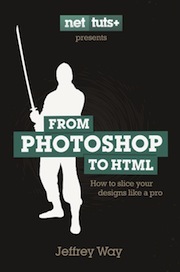 For anyone working on the web, especially if you are ever interacting with PSD templates, this book will take you through how to break down each page and code it from scratch. While it is a little dated (there aren't many HTML5 elements used where applicable, and it was certainly written before responsive sites took the world by storm) the basics of taking a Photoshop file and converting it to an HTML website are still here. So pick it up if that's what you need to know how to do! 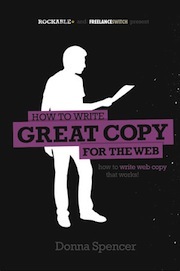 I realize this is a very practical set of books this month, but for those of you who write for the web, this is a great summary of what works best to convey your message to the masses. Everything from your about page to company updates, Spencer covers it all. Removies: Movie Titles with One Letter Removed: Great collection of movie posters that never were, but could have been with a simple typo. If Dr. Seuss Had Written Star Wars: Yep, about what you'd expect with that title! 8-Bit Gangnam Style [Video]: A little variation on the video that has taken the world by storm!